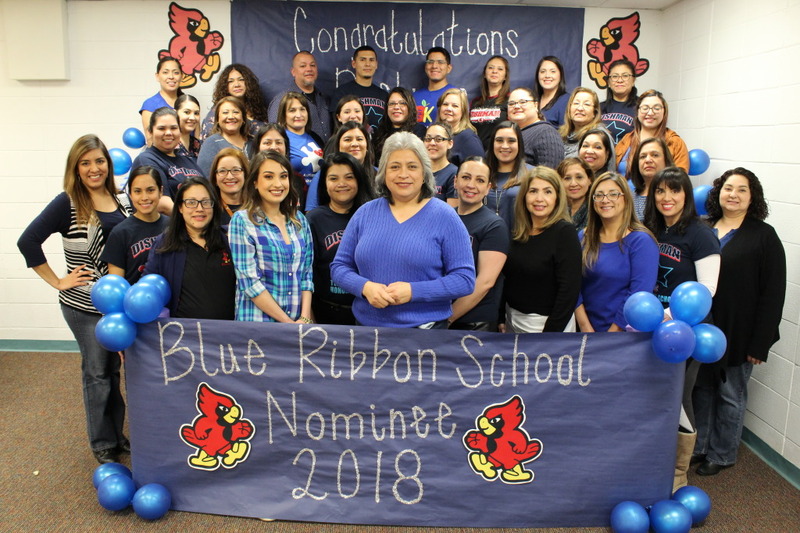 Dishman Elementary is among 25 Texas public schools to be nominated for the national 2018 Blue Ribbon Schools recognition. Over the years, Dishman has accumulated many accolades and attained results that at one time may have been thought of as impossible such as, being named a Texas Honor Roll School in 2016, earning all six possible distinctions in the 2017 Accountability Ratings, and now being named a 2018 National Blue Ribbon School nominee by the Texas Education Agency. The entire campus, from staff to students, has committed to putting Dishman on the map and breaking as many academic records as possible. Each nominated school has an economically disadvantaged population of 39 percent or higher and must meet the performance criteria established by the U.S. Department of Education which includes, but not limited to be in the top 15 percent of all schools in the state for both reading and mathematics based on its progress in closing the achievement gaps between the school’s subgroups and the state’s all-student group over the past five years. The nominated schools must now complete a rigorous application process through the U.S. Department of Education. Announcements of the national award winners will be made in September 2018. Schools that receive the award are recognized at the National Blue Ribbon Schools awards ceremony in Washington, D.C. This recognition acknowledges and validates the hard work of students, educators, families, and communities in striving for and attaining exemplary achievement. To learn more about the National Blue Ribbon program, visit https://tea.texas.gov/blue_ribbon.html.